Saracens House Business Centre and Manor House Business Centre have a variety of serviced offices to rent across the buildings. If you are self employed or work from home but want to keep your residential address private, a virtual business address is your solution. At Saracens House, we understand the importance of answering the phone in a timely manner. So, what happens if you’re in a meeting or with a client? All businesses need some form of bookkeeping whether you’re a small company just starting out or a well-established business but there are hundreds of self-employed bookkeepers and choosing the right one can be difficult. A Registered Office is the address of a limited company that is used by Company’s House and is required for businesses that have a physical presence in the UK. Saracens House and Manor House are able to provide a Registered Office address for your limited company, whether it’s an existing business or newly formed. 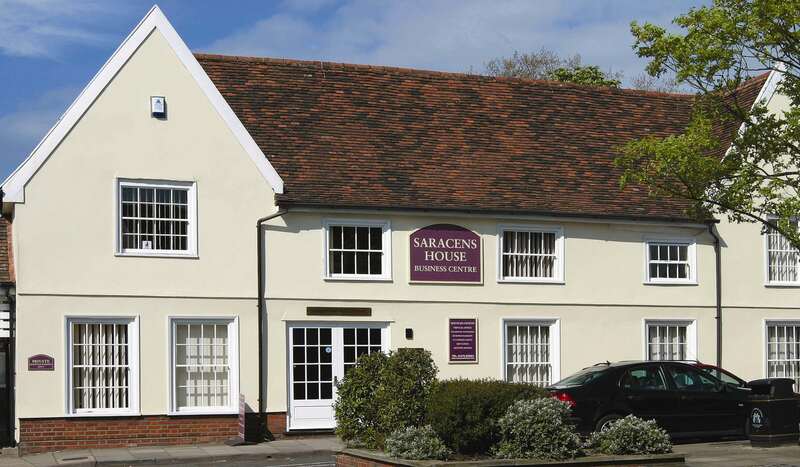 Saracens House Business Centre begun providing small to medium businesses with fully serviced offices in 1985 and we have been improving and growing ever since. The two beautiful Grade II Listed buildings are based in the heart of Ipswich, and have offices ranging from 79sq ft. to 1500sq ft. (the staff all work full time and can help any business with any admin based task from typing and printing to company formation and registration to payroll and tax returns). As well as providing Serviced Offices, Saracens House and Manor House have broadened their horizons and now offers a wide range of services which are all available as ad hoc necessities or as long term resource. Saracens House and Manor House pride themselves on having friendly staff that will be willing to assist with your requests efficiently, tailoring our services to your individual requirements.